Recognize a special person or a board member with an Airflyte Walnut Gavel Appreciation Plaque. 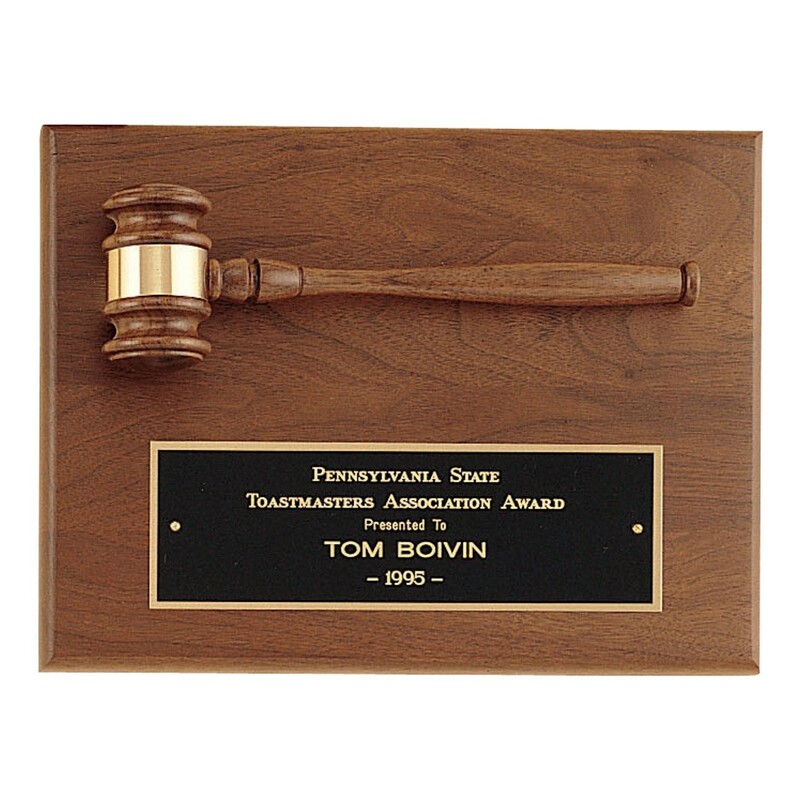 This solid walnut plaque from Airflyte features a walnut gavel with a brass band. Measures 9 inches by 12 inches; made in the USA.